Shailene Woodley and Theo James will appear on Jimmy Kimmel Live on Monday night to talk about Divergent. Zedd is also performing that night on the show. Yesterday it was revealed that we would get a surprise on Monday and maybe it will be a new clip or trailer that Shai and Theo will also show on Jimmy Kimmel. Jimmy Kimmel Live starts at 11:35pm ET. What do you guys think the surprise is? Share your thoughts in the comments. Categories: Divergent Movie, Divergent News, Shailene Woodley, Theo James | Tags: divergent movie, Divergent news, Jimmy Kimmel Live, shailene woodley, theo james, zedd | Permalink. Our Tris and Caleb Prior, Shailene Woodley and Ansel Elgort are starring in the film adaptation of John Green’s The Fault in Our Stars as Hazel Grace Lancaster and Augustus Waters. The trailer has just been released. You can see Shai and Ansel as Hazel and Augustus in The Fault in Our Stars on June 6th. The Hollywood Reporter is reporting that Oscar winner Akiva Goldsman has been tapped to work on the Insurgent script. The script was first written by Brian Duffield. Oscar-winning screenwriter Akiva Goldsman has been tapped to work on the script for Insurgent, the sequel to Summit’s upcoming YA adaptationDivergent, The Hollywood Reporter has learned exclusively. The producers are currently looking for a director for the sequel, as Neil Burger, who directed Divergent, has decided not to return for the sequel, citing schedule conflicts. Sources say shooting on the sequel will begin in the spring. Brian Duffield first worked on the script for Insurgent, which is slated to hit theaters March 20, 2015. The first film in the series, Divergent, will open March 21, 2014. Lionsgate’s Summit has slated the third film — Allegiant — for March 18, 2016. Goldsman won an Academy Award for best adapted screenplay for the 2001 film A Beautiful Mind.The writer-producer, who has stepped in to work on several other film scripts in the past, wrote The Da Vinci Code and co-wrote Cinderella Man, I, Robot and Angels & Demons. Goldman wrote and directed the upcoming film Winter’s Tale, which stars Colin Farrell, Jessica Brown Findlay, Jennifer Connelly and Russell Crowe, and will hit theaters Feb. 14. He’s repped by CAA. Categories: Insurgent Movie, Insurgent News | Tags: Akiva goldsman, brian duffield, insurgent movie, Insurgent News | Permalink. If you did not know Zedd’s song Find You is the first single from the Divergent soundtrack. The song features Matthew Koma and Miriam Bryant. Find You is now available for download on iTunes. Categories: Divergent Soundtrack | Tags: Divergent soundtrack, Find You, matthew koma, miriam bryant, zedd | Permalink. 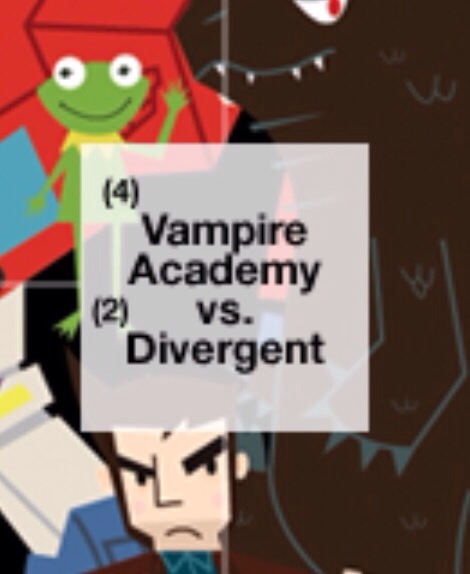 Divergent has made it to the Final Four round of MTV’s Movie brawl. It is up against Vampire Academy. 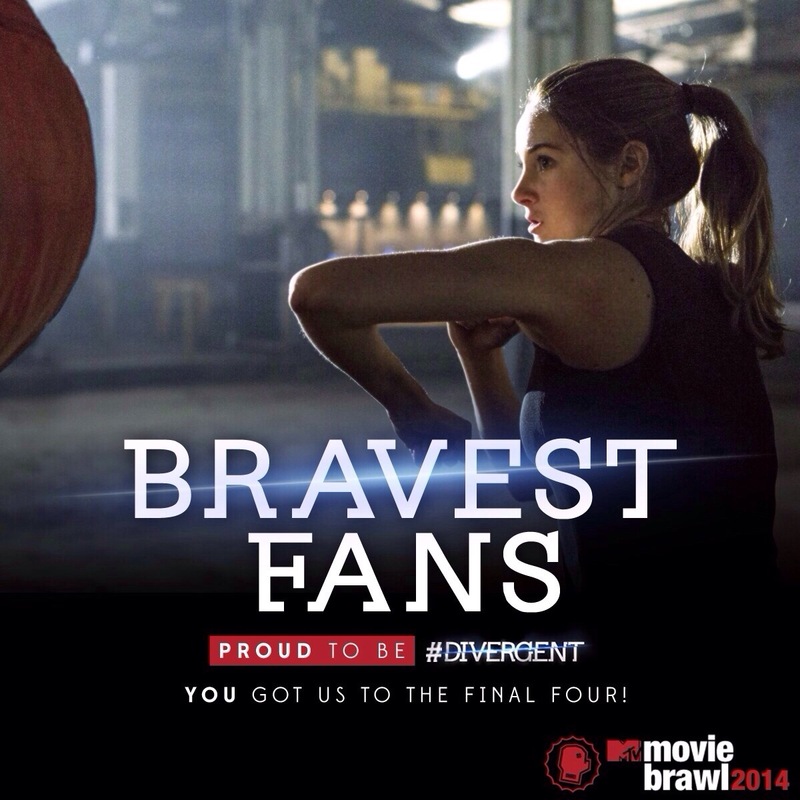 Let’s continue to vote so that DIVERGENT can make it to the last 2 rounds! Categories: Divergent Movie, Divergent News | Tags: divergent movie, Divergent news, mtv movie brawl | Permalink. Yesterday Ellie Goulding announced her involvement with the Divergent soundtrack. She even revealed the Divergent soundtrack cover. Summit Entertainment has officially made their Divergent soundtrack announcement. The announcement also includes pre-order details. January 23, 2014 — Santa Monica, CA — Interscope Records will partner with Summit Entertainment, a LIONSGATE® (NYSE: LGF) company, to release the Original Motion Picture Soundtrack to the futuristic action-adventure film Divergent on March 11, 2014. The soundtrack will feature a brand-new song by multi-platinum British singer/ songwriter Ellie Goulding, titled “Beating Heart” as well as songs from Goulding’s sophomore album, Halcyon. Goulding will also contribute vocals for the film’s score composed by Grammy® nominated and multi-platinum electronic artist Junkie XL and executive produced by Grammy® and Oscar®-winning composer Hans Zimmer (The Dark Knight, Inception). 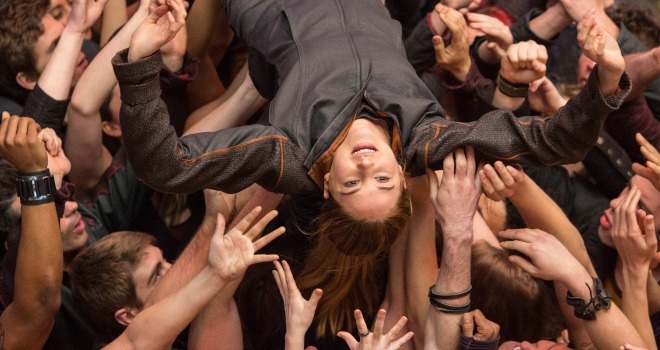 The film, which is based on the bestselling novel Divergent by Veronica Roth and hailed as the most highly anticipated movie of 2014 by social media research firm Fizziology, will be released in theaters and on IMAX® screens nationwide on March 21st. In addition to “Beating Heart,” the soundtrack album will feature new music by multi-platinum, Grammy® nominated artist Zedd (the track “Find You,” featuring Matthew Koma and Miriam Bryant) and more artists to be announced soon. North American fans can pre-order Divergent: Original Motion Picture Soundtrack exclusively at www.divergentsoundtrack.com starting Friday, January 24th. Pre-order bundle options include the soundtrack on 12″ picture disc vinyl, as well as a pre-order exclusive poster with the names of fans who order, plus more to be announced soon. Divergent is the first installment in the Divergent Trilogy, which were the top three (3) best-selling books of 2013 according to USA Today. The story is set within a future world where people are divided into distinct factions based on their personalities, and Tris Prior, played by Shailene Woodley, is warned she is Divergent and will never fit into any one group. When she discovers a conspiracy to destroy all Divergents, she must find out what makes being Divergent so dangerous before it’s too late. 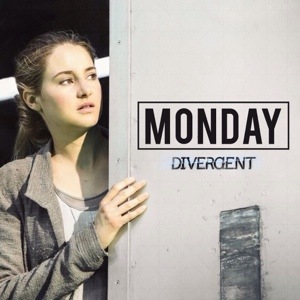 Are you guys excited to get the Divergent soundtrack in your hands? You can on March 11. You can also finally see Divergent on March 21. What do you think of the Divergent soundtrack cover? Who else do you think will be on the soundtrack? Categories: Divergent Merchandise, Divergent Movie, Divergent News, Divergent Soundtrack | Tags: divergent movie, Divergent news, Divergent soundtrack, Ellie Goulding, Summit Entertainment, zedd | Permalink.